It's an audio receiver right in your pocket. 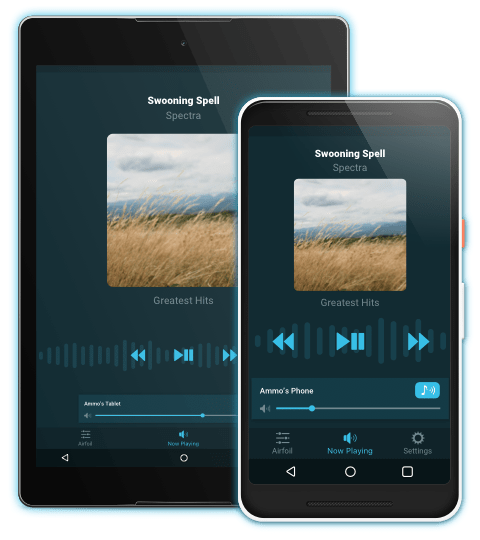 Using Airfoil and Airfoil Satellite for Android, you can send any audio from your Mac or PC to any Android phone or tablet. 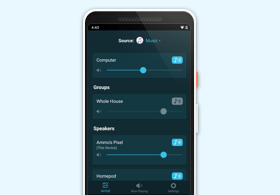 Plug in headphones to your Android device or dock it in a speaker, then send audio to it wirelessly from anywhere in the house. 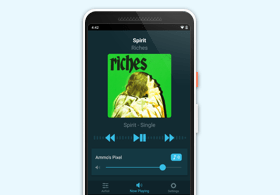 Run Airfoil Satellite on your Android device, and you can receive any audio played on your computer. Airfoil Satellite receives audio streamed by Airfoil for Mac or Airfoil for Windows. Toggle outputs on and off, adjust volumes, and even switch sources. It's full Airfoil control, remotely! 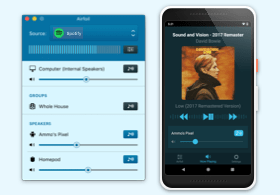 Initiate connections back to Airfoil from within Airfoil Satellite, so you can start receiving audio remotely. Remotely control playback of select sources, including Spotify, iTunes, and many more. Metadata, including track titles and album art from supported sources, is shown right in Airfoil Satellite.